Crown Eurocars newest location is off of US Highway 19 N. in Pinellas Park, FL. 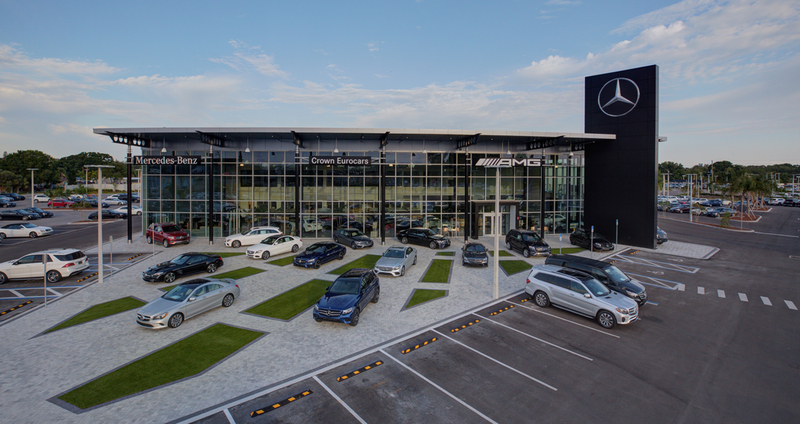 With 7.8 acres at its disposal, Crown Eurocars has 59,500 sq. ft. of covered space full of amenities, including a 530-space parking lot. Inside the 59,500-sq. ft. of covered space – including 50,000 sq. ft. fully air-conditioned – you will find a 30-foot high, 16-car capacity luxury showroom in an open floor plan that extends 9, 700 sq. ft.